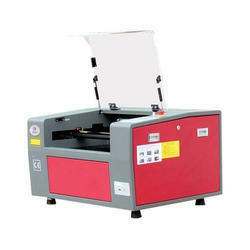 Our organization provides a qualitative range of LaserCutting&EngravingMachines – KCMA-6040to our clients. It adopts Smart Carver controller, which is based on advanced 32bit DSP technology, improving the performance greatly. It is facilitated with stable S-type variable-speed controller software design that ensures fast and stable running. Further, it also makes perfect cutting results by coordinating with auto laser compensation technology. It can also be installed with closed-loop motion control system to meet high precision standards. 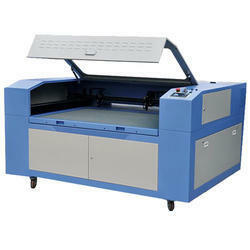 KCMA-6040 laser cutting machine is suitable for users who have a high requirement about the precision of cutting and engraving, and is widely used in industries such as garment , leather, cloth toy, computer embroidery and clipping, electronics, handicraft, advertisement decoration, building upholster, package, printing, paper products, etc. We offer an extensive range of Laser Cutting & Engraving Machines – KCMA-1390K, which is equipped with precise rotary device and auto lifting platform. Our range is suitable for engraving and cutting both regular and irregular round or planer objects such as cup, box, cylinder with different thicknesses. We offer our range to our esteemed clients at reasonable prices. Our clients can avail from us an extensive range of Laser Cutting & Engraving Machines – KCMA-1390T, which is procured from trusted vendors in the market. 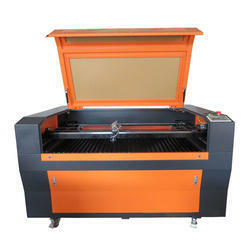 Our range is KCMA-1390T CO2 laser cutting machine, which is equipped with two laser head and CO2 laser generator. It can cut any curve continuously at high speed. Further, our range of CO2 laser cutting machine is equipped with two cutting heads so that the processing efficiency will be doubled. 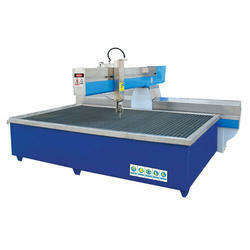 It is especially suitable for the mass cutting and engraving of appliqué embroidery. 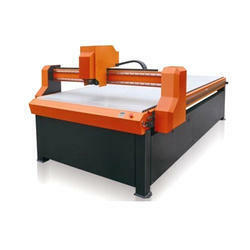 This CO2 laser cutter machine can cut any curve fast and consecutively. These machines can also save more than 128 files so that users can complete the mass production without the connection to the computer. We offer a wide range of Laser Cutting & Engraving Machines – KCMA-1610FT, which is perfect in terms of stability, precision and speed. It is facilitated with double laser heads and auto feeding system and are suitable for the mass cutting and engraving of appliqué embroidery. Furthermore, we meet the bulk demand of our clients within the committed time frame. We offer our range in different sizes such as KCMA-1810TF auto feeding laser cutting machine and KCMA-1910TF auto feeding laser cutting machine. KCMA-1610FT auto feeding laser cutting machine can be used for both cutting and engraving, it is suitable for almost all non-metal materials such as cloth, leather, wool, acrylic, bamboo, rubber, crystal, ceramic tile, jade. We offer a wide range of Laser Cutting & Engraving Machines – KCMA-1625F to our clients, which is available in various specifications. These are equipped with auto feeding system and open stainless meshed work-table and, are ideal for large scale cutting of cloth, leather, and wood. Furthermore, we meet the bulk demands of our clients within a committed time-frame across the nation. 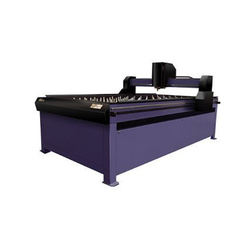 KCMA-1625F laser cutting bed is specially for those users who need cutting and engraving materials in large size, and suitable for cloth, leather, paper, wood, organic glass, plastics, compound material, etc. 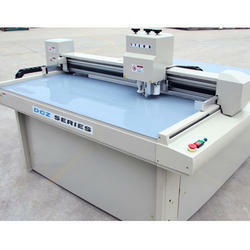 Laser Cutting&Engraving Machines – KDDB-100RFto our clients. 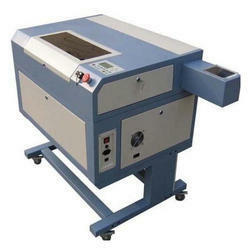 These machines adopt RF laser and imported from USA. Our range is well known for the large power, high frequency and long service life features. It is provided with hi-tech dynamic focusing scanning mirror and control card. The 3 Axes Dynamic Focusing Marking Machine enjoys optimized algorithm, higher marking and cutting speed, and powerful functions. Our range is especially designed for the laser scanning with tiny light spot, large working range and high flexibility. Further, it is ideal for the heavy application, compact construction, dust-proof, convenient and accurate installation, and strong anti-jamming ability. We also deal in LaserCutting&EngravingMachines – KFLM-10/20,which adopt the imported fiber laser generator, high speed galvo system to enable stable laser output and high quality laser mode. 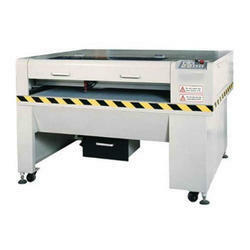 Our range meets the demand of mass production with fast marking speed,good marking effect, and high efficiency. It is well known for the easy operation, low running costs, long-term working and its easy maintenance. We offer a superior range of Laser Cutting & Engraving Machines – KSM-960 to our clients, which is sourced from certified vendors in the market. Our range is ideal for the cutting of irregular label and embroidery badges. It adopts the latest DSP technology and leading pickup positioning image recognition system. Further, our range provides a complete solution for irregular design cutting with great efficiency. 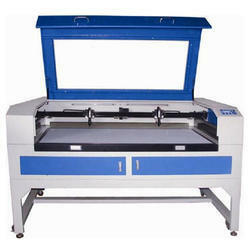 Our organization offers a superior range of LaserCutting&EngravingMachines – KYAG-50Dto our clients. These are facilitated with semi-conductor module, high-speed optical scanner, Q switch and YAG laser rod to ensure rapid scanning and high precision. It also has self-control cool-water circulating system to ensure continuous long-time running. Our range is suitable for precise etching and marking on both metals and non-metal materials. Further, it is widely used in marking electronics, clocks and watches, eyeglasses, automobile parts, hardware tools, plastic keys, medical apparatuses and communication products. 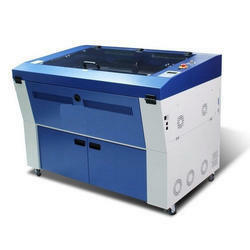 We offer an exclusive range of Laser Cutting & Engraving Machines -KYMRF-10F100F,which is ideal for various applications. These machines adopt full set of imported metal sealed radiation frequency CO2 laser, with high speed scanning vibrating lens and extending focusing system, high stability, anti-interference industrial computer control system, high precise vertical up-and-down working table. Our range of machines can work on a continuous 24 hours in high stability, high precision, high speed. The marking software base on win98/win me operational software. Furthermore, it is a special type machine, which is designed for automatic industry, and can be better applied to flight marking on production line. Applied in many industries, such as food & beverage, medicine, cigarette, leather, packing, building, cosmetic, electronic components, etc. with low-consumable, non-poisonous, non-pollution, both DIY & existing assembly line can be matched with. LaserCutting&EngravingMachines-KYMRF-3060,which is CO2 laser marking machine and new generation laser marking system that is introduced by Yueming laser company. These are facilitated with metal sealed radiation frequency CO2 laser, with high speed scanning vibrating lens and extending focusing system, high stability, anti-intervention industrial computer system, high precise vertical up-and-down working table. Our machines can work for a continuous 24 working hours in high stability, high precision, high speed mode. Furthermore, it is the marking software and based on Win98/ WinMe operational software that makes for easy operation. We offer a comprehensive range of LaserMetalCuttingMachine – KM-100NCto our clients as per their requirements. These are available in different technical specifications and meet the individual requirements of our clients in the best possible manner. Furthermore, our reliable vendors ensure that our range is free from any defects and meets industry standards. Our clients can avail from us an exclusive range of LaserCutting&EngravingMachines – KYAG-75D.These are provided with semi-conductor module, high-speed optical scanner, Q switch and YAG rod. It is also provided with speedy scanning and high precision, independent self-control cool-water circulating system to ensure stable performance and meet requirements on long-time running. Our range is ideal to precision etching and marking on metals and non-metal materials. These are widely used in such industries as electronics, waist watches and clocks, eye glasses, automobile parts, hardware tools, plastic keys, medical apparatuses and communication products. 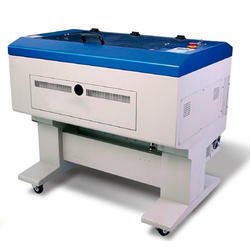 Our esteemed clients can avail from us an extensive range of LaserCutting&EngravingMachines – KYMRF-12. It is being supported by many software and can be used to collect and make various of marks. Furthermore, our range is ideal for marking on many kinds of materials with the marks left clear, beautiful and everlasting. We offer our range at reasonable prices. 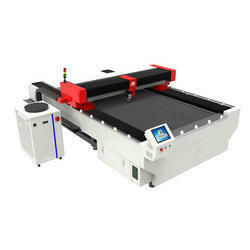 Our clients can avail from us unmatched quality of Laser MetalCuttingMachine – KM-1225at reasonable prices. These are available in various cutting capabilities such as stainless steel 2 mm 3 mm 4 mm, mild steel 3 mm 4 mm 6 mm, acrylic 40 mm 40 mm 40 mm and MDF 20 mm 22 mm 25 mm. Furthermore, our range finds wide applications in different industries.